Here are 10 reasons why Vancouver needs to be on your bucket list. The adventures that fill Vancouver and surrounding areas are endless and I am just touching up on a couple of my favorites. 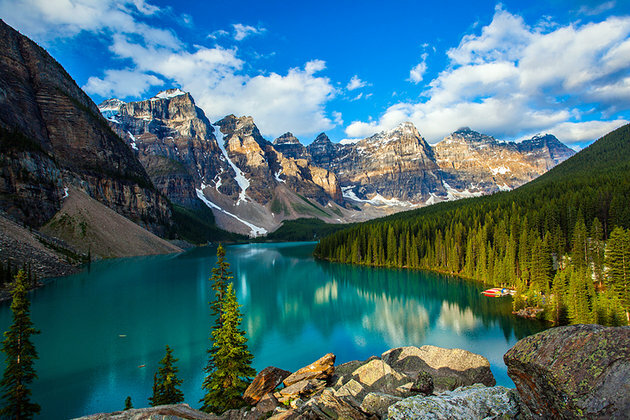 Lake Louise, named Lake of the Little Fishes is a glacial lake inside Banff National Park in Alberta, Canada. The bluish tint of the water comes from rock flour carried into the lake by melt-water from the glaciers that overlook the lake. There are many hiking trails that you can take to get to this hidden gem. Athabasca Falls is a waterfall in Jasper National Park on the upper Athabasca River, south of Alberta, Canada. Although the falls isn't very big it is an amazing sight and very powerful streams. Garibaldi Lake Was Formed When Lava Flows Blocked The Valley creating damns that trapped the lake inside. The turquoise color of the lake's water is due to glacial flour suspended in the meltwater. If you have time to do a 5 hour hike then definetly be sure to check Garibaldi Lake out! It was built in 1889, Capilano Suspension Bridge stretches 450 feet across and 230 feet above the Capilano River. The name Capilano actually came from a First Nations name belonging to the Squamish Nation and originally spelled Kia’palano, meaning “beautiful river”. Kia’palano was the name of a great Squamish chief who lived in this area. The Granville Island Public Market is a definite treasure. It is an indoor market featuring a fascinating assortment of colourful food and produce stores, showcasing handcrafted products and the very finest in unique gifts. Everything you find there is fresh from the ocean, the oven or the field, so you can best believe the food is amazing! Grab some of the best Poutine here! Hot Springs Cove gets its name from its proximity to Ramsay Hot Springs. It is located near Tofino Island in Maquinna Provincial Park. Hot Springs Cove is only accessible by boat (1 hour) or a short (20min) float plane. 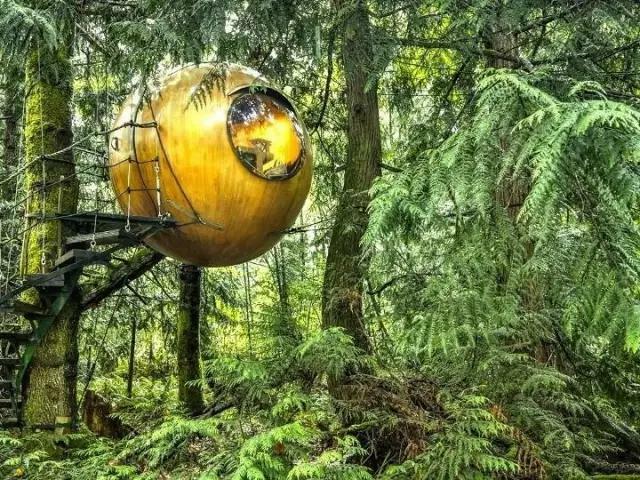 This unique treehouse resort for adults is open year round in an enchanted coastal rainforest in Vancouver. They are decently priced for a unique experience! Wapta Falls is a waterfall located in Yoho National Park in British Columbia, Canada. It is the largest waterfall of the Kicking Horse River. The hike to the falls is only about 2 miles roudtrip! Whistler Blackomb is most famous for its slopes.However you can also zipline through a snow laden forest, carve your own path up a mountain, enjoy the town and grab a bite to eat. I prefer Whistler in the winter where you can hit the slopes for some skiing or snowboarding, either way this is a must.